Every now and then I enter the creepy zone. I'll find myself in the mood for darkness and I'll read a number of twisty tales in close succession. Maybe it's because these sorts of books remind me that all is not peachy in the world? Maybe it's because they make my own life feel so sweet? Maybe it's because I'm a psychopath. I don't know! WARNING. This book is not for the faint of heart. The story takes off right at the start. There's no waiting around for the big happening. It happens and you spend the rest of the book wondering why. WHY? Goat Mountain is painful, beautiful, and shocking. Seeing a tragedy through the eyes of a child might be depressing to some readers. I found it refreshing. O'Donnell lets us experience a traumatic event in an original way by showing us what Michael sees and hears. Children are both smarter and more innocent than we give them credit for. 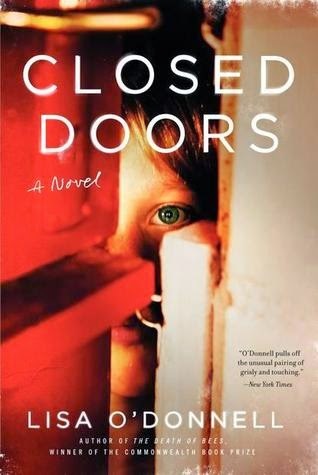 Closed Doors is a fantastic coming of age story with a tragic bent that shows just how clever children can be. This is another winner from Herman Koch, who also wrote the deliciously tense The Dinner. He writes characters that you want to hate but can't help feel a niggling bit of empathy for. He writes characters that do things the rest of us only fantasize about doing on our darkest days. This wasn't an easy read but it was an absolutely worthy one. Do you enjoy the darker side of literature? Is there a spine-chilling book you consider a must-read? Tell me about it in the comments! Wow! You have definitely piqued my curiosity. I may have to add all these titles to my list. I definitely want to give Koch a try, and I have a writer friend who HATED Goat Mountain. Said it was one of the worst books he ever read. All the polarizing reviews make me want to read it even more. Ha ha, Goat Mountain is WEIRD, there's no doubt about it. I think you would appreciate it though. Definitely give Koch a whirl. I'm pretty sure I'll read anything he comes out with from now on! All of these books sound great, especially Closed Doors. I love a book written from child's perspective. I'm intrigued about all of these titles now though. Thanks for sharing. I haven't read anything else by Vann, I'll probably have to do that! Ha - yes - Summer House with Swimming Pool is definitely disturbing! For me, mostly because of his totally over the top descriptions of disgusting stuff! There were moments of brilliance, too, though, and I'm planning to read The Dinner. Ohhh yes! There were times when I cringed as I read! I keep changing my mind on whether Swimming Pool or The Dinner are my fave. Ha ha, I know just what you mean. It's so twisted and weird! 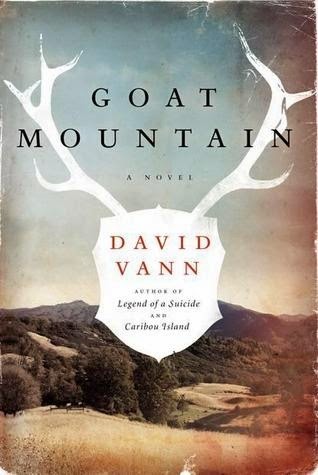 I would read Goat Mountain simply because GOATS. That is probably a terrible reason. I really like the darker side of literature, mostly for how much it makes me think about myself, my own morals, and the people around me. I'm desperate to try Koch! I've read Vann's other books and they are all super dark. I love twisty books!! I might skip Goat Mountain, but the other two are going on my list! I have a really good feeling, Erin. I think you'll like them both a lot! hahaha I get into reading moods like this, too. Goat Mountain sounds intense but... I'm kinda intrigued. I loved Closed Doors and Koch's latest book certainly left me feeling uncomfortable. I'm trying to think of other books that left me feeling this way. When it's done well, it is so great. Uncomfortable...that's a great way to put it. 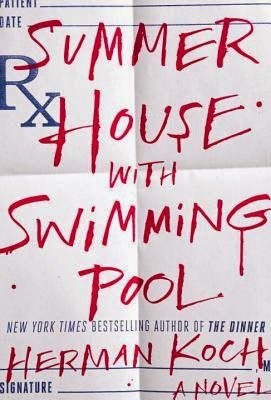 Those books that make you cringe because they hit a little too close to the bone. Oooh, they are GOOD. Stopping by from Steadfast Reader--I completely agree with you about Herman Koch. Both of his books are perfect examples of works by a talented author who manages to hold your interest, even though you're reading about some genuinely unlikeable, unsavory characters. I still find myself thinking about his books long after I've finished them. That's powerful writing! I've been itching to read Blood Meridian by Cormac McCarthy which is supposed to be very dark and very bloody. Actually descriptions of Goat Mountain have me wondering if they're similar. I have to be in a very specific mood to read deliberately creepy books. Usually they just scare me and make it hard for me to sleep! I have Goat Mountain on my shelves though -- maybe someday. Not just three creepies but three good creepies! Goat Mountain, I wasn't expecting. At all. After I finished it (thankfully it was short), I just couldn't get out of my head for a while. It isn't a book you love, but it was certainly interesting. I read these kind of books only when I feel ready for it, because in the end I find myself down for a couple of days. I want to read something by Vann! I don't often read creepy books. All three books sound like the type that makes you think! Like you sometimes I like dark but not the horror/gore kind. I liked Summer House and am adding Closed Doors to my list but Goat Mountain sounds like it may be too much for this weenie! Agree that all three are fantastic and TOUGH reads for various reasons. Goat Mountain is so stark and abrupt. I think my favorite in your list though is the Herman Koch. I loved The Dinner, but I believe that I loved Swimming Pool even more. There is a callousness to it that makes me cringe and laugh at the same time.